A literary costume drama set around the courts of Richard I and Saladin, The Crusade (1965) is an example of how important non-science-fiction historical stories were in the early years of Doctor Who. This essay looks at how The Crusade approaches history, in particular the characterisation of Richard I (“the Lionheart”). There will be attention paid to the programme’s attempts at historical accuracy, although that shouldn’t be our only focus because the historical study of popular culture too often ignores the specific qualities of popular culture (and also history) by depending on the accuracy question. Depictions of Richard I change for various reasons including historians’ debates, school curricula, changes in media institutions, shifting dramatic styles and reactions to previous dramas. These explain why Richard the Lionheart (ITV, 1961-65) uses Richard differently from Richard Lester’s film Robin and Marian (1976), which is in turn different from the series Robin of Sherwood (ITV, 1984-86) and Robin Hood (BBC, 2006-2009). 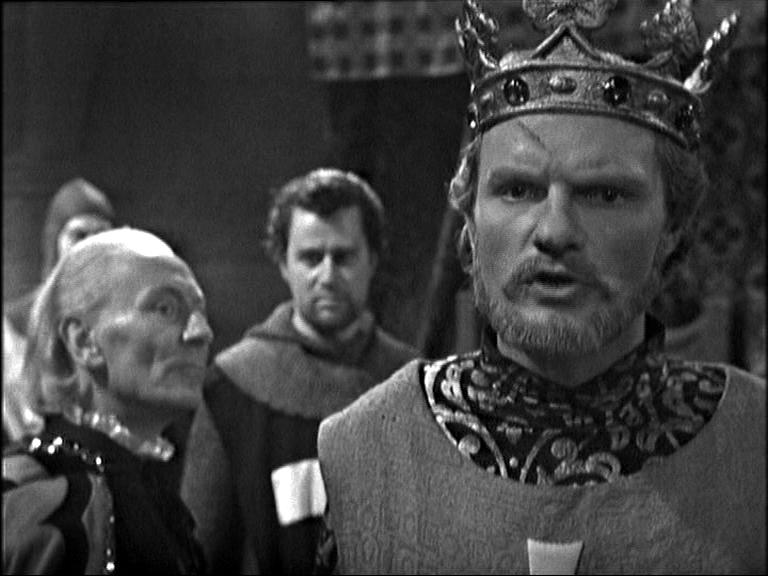 This essay will therefore take Doctor Who’s version of Richard I as a starting point to think about how history and screen fictions build narratives around figures like Richard I. I’m drawing from unused sections of the research I conducted for a forthcoming academic publication on neo-medievalism,1 but any references to academic theory will be rooted in discussion of the choices made by writer David Whitaker and director Douglas Camfield. 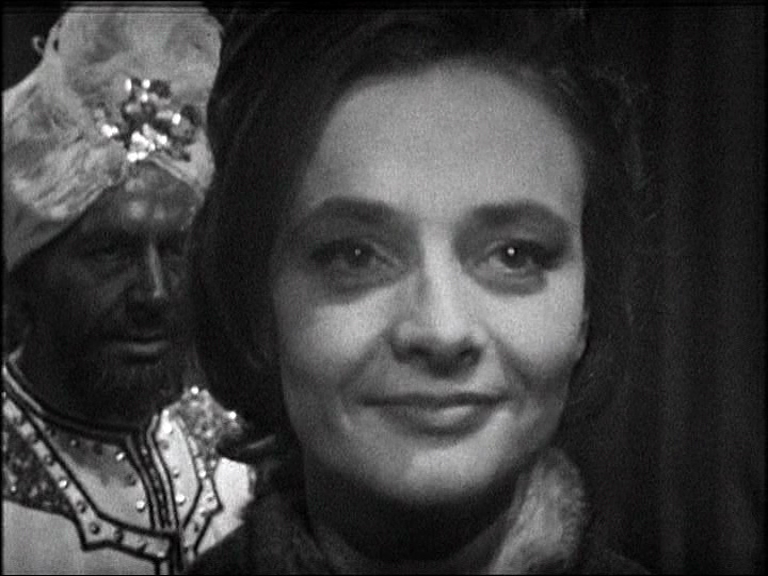 I’ve written elsewhere on pseudo-historical stories such as The Time Warrior (1973-74), where Crusade-era England is invaded by Sontarans and misread by Sarah-Jane Smith as a nostalgic pageant; the anachronism of her “Women’s Lib” values is interestingly handled. In the same piece, I’ve written about how futuristic stories use medieval tropes.6 It’s oversimplistic to separate “pure” and “pseudo” historicals as they both serve the requirements of genre and format, and also both make us aware of anachronism in the way that time-travellers interpret or misinterpret their surroundings. The Crusade may be more “pure”, in terms of historical accuracy, than The Time Warrior, but it still works as a Doctor Who adventure. 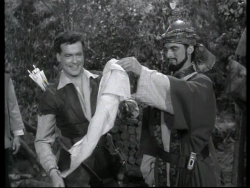 When films and programmes locate Robin Hood during the Third Crusade, Richard inevitably guest stars, as in the film The Adventures of Robin Hood (1938), the television series The Adventures of Robin Hood (1955-58) and Robin Hood, the films Robin and Marian and Robin Hood: Prince of Thieves (1991) or the inventive series Legend of Robin Hood (1975) and Robin of Sherwood. 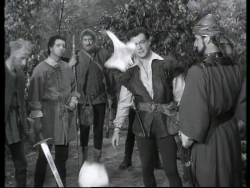 In the 1950s series and early Robin of Sherwood, loyalty to Richard during his absence at the Crusades, plus his kidnapping in Austria and his subsequent battles in France, are crucial elements. From its second season onwards, Robin of Sherwood takes a different turn as Richard’s death leads to John’s corrupt reign. Although cinema treatments often end with Richard’s arrival to provide a deus ex machina solution, episodic series can partly move away from this, although Richard’s temporary return to England forms the climax to the first season of both Adventures and Sherwood, in the episodes Secret Mission and Richard the Lion-heart (both 1955) in the former and The King’s Fool (1984) in the latter. The politics of Richard’s reign before he leaves for the Crusades form an important part of the fascinating costume-drama Legend of Robin Hood. However, romanticized narratives of the “lionhearted” king and the chivalrous Saladin are not restricted to genre series: they are present in some historical sources. Having said this, any admiration for the programme’s depiction of Saladin has to negotiate some unsettling aspects of its presentation. Although the story avoids racial stereotyping of the kind that has worried fan critics in even the most acclaimed Doctor Who stories,31 many modern viewers will feel uncomfortable to see Saladin being played by a white actor in make-up, while actors from ethnic origins serve mostly as silent background figures. The context of the times provides precedents, of course: theatre and screen versions of Othello; David Lean’s casting of Alec Guinness in A Passage to India (as late as 1984); or the argument that there was a lack of actors from black and other ethnic backgrounds in times such as the 1960s. However, those claims are factually dubious, as is clear from awareness of plays from the 1950s and 1960s such as A Man from the Sun (1956) and Fable (1965), and the defences often unconvincing. But these are bigger issues to which this site will return. Other popular depictions often include historically-inaccurate scenes of Richard and Saladin meeting. 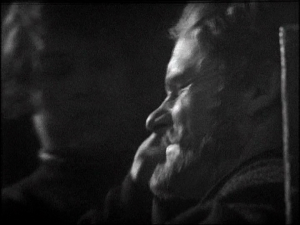 Instead, The Crusade replaces this with Camfield’s use of visual technique to parallel the two leaders and contrast their behaviour. Friends cut down about my ears or stolen. My armies roust about and clutter up the streets of Jaffa with the garbage of their vices. And now I learn that John, my brother, finds a thirst for power, drinking great draughts of it, although it is not his to take… A tragedy of fortunes and I’m too much beset by them. The story’s themes of myth-making, storytelling and performance (foregrounded in de Preux’s opening substitution of Richard, which echoes Henry IV Part 1 (1597)) feed back into arguments about historical depiction. Before the ambush, Richard jokingly discusses “a subject for our troubadours and actors”. 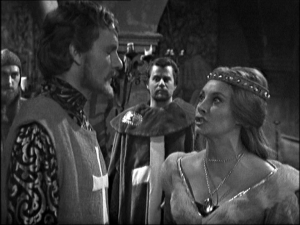 The Doctor, Ian and Vicki (herself performing, because she is initally disguised as a boy) persuade Richard to aid Barbara’s escape by noting the propaganda potential of Saladin’s arrest of a substitute: “You could turn this into a good story against Saladin… spread this tale by word of mouth and all the world would know that Saladin fears you.” The Earl of Leicester queries peace talks, saying that “When you men of eloquence have stunned each other with your words, we the soldiers will have to face it out”, thereby drawing attention to different kinds of acting: performing and committing an “act”. In captivity, Barbara describes previous journeys through space and history (previous adventures in the series), upon which Saladin interprets the TARDIS crew as “a band of players” and requests entertainment from this “teller of stories” (threatened, as Barbara notes, like Scheherazade in The Arabian Nights). Films and history: reshaping the Crusades? But this argument could, of course, be applied to any depiction of historical figures. 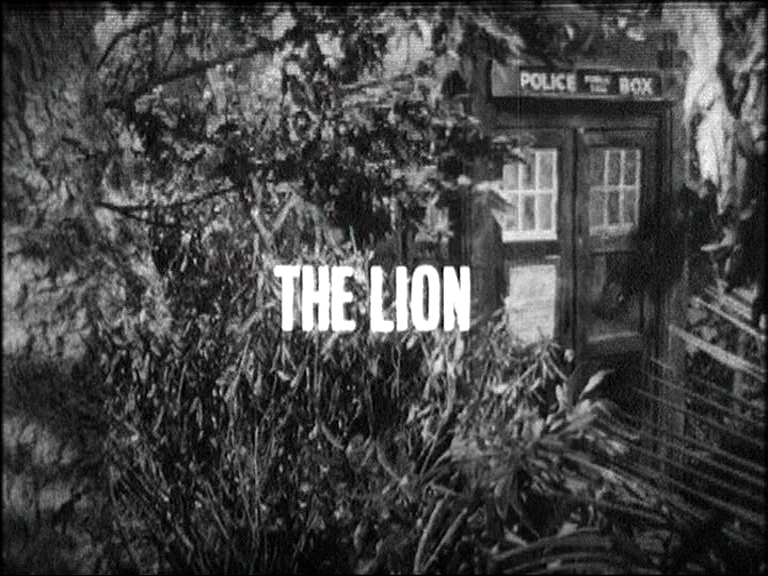 Therefore, although we might look at DeMille’s 1930 film and Doctor Who‘s 1960s interpretation and explain their differences through different media contexts, their attitudes are also shaped by changing historical perspectives. For example, Aberth views the pacifism in DeMille’s The Crusades in the context of the passage of the first neutrality law in Congress in 1935 and wonders “what the film may have looked like if it was made just half a decade later”.46 Aberth discusses Youseff Chahine’s Egyptian film Saladin (1963) in the context of Suez as a rebuttal of Western imperialism. If the medieval period here is an illusion (the studio theatricality underlines it), the programme’s time travel format is fascinating because we both visit the past (which we take seriously) and experience it as an illusion. (How this fits into debates on neo-medievalism is another issue saved for a more specialist forum.) This is yet another reason why the TARDIS is so magical in the guise of a twentieth-century British police telephone box. It doesn’t belong, it’s impossible. But it’s also from a fixed time, and cannot hide its anachronism, it reminds us that the characters (often representative of us) are outsiders. 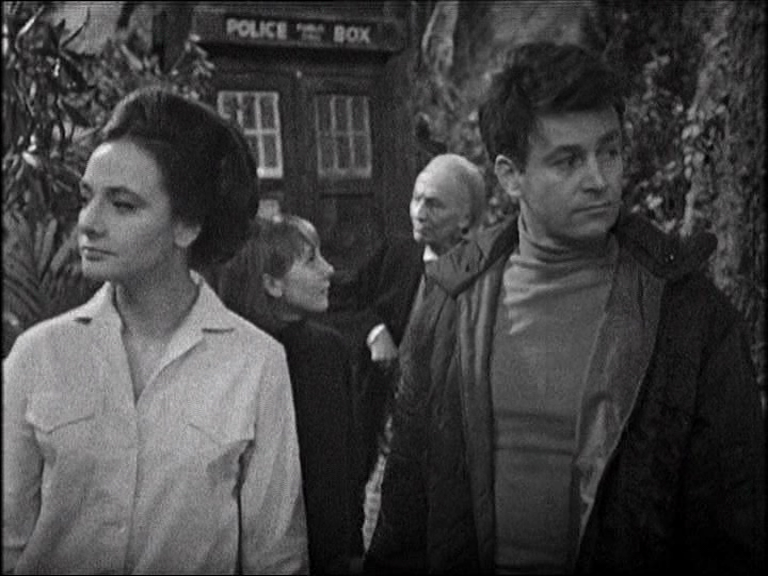 The Crusade combines the stirring sense of excitement and danger, and the pull of empathy and understanding, that shows how a programme so often associated with imagined and future spaces is so often enthralling when it is based in a recognisable past. 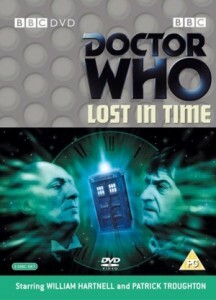 The Crusade parts 1 (‘The Lion’) and 3 (‘The Wheel of Fortune’) are available on the DVD Lost in Time (2004), a collection of rediscovered episodes and segments from incomplete stories. 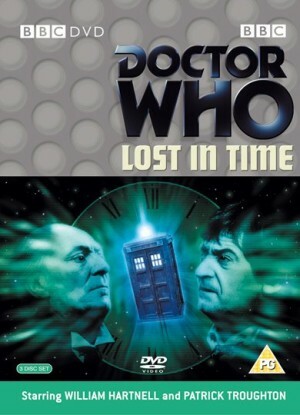 Parts 2 and 4 now only exist in audio, also on the Lost in Time set. See also: Magna Carta, a documentary in which prominent medieval historians discuss King John, the Magna Carta (both featured in The King's Demons) and Richard I (illustrated by clips from The Crusade). 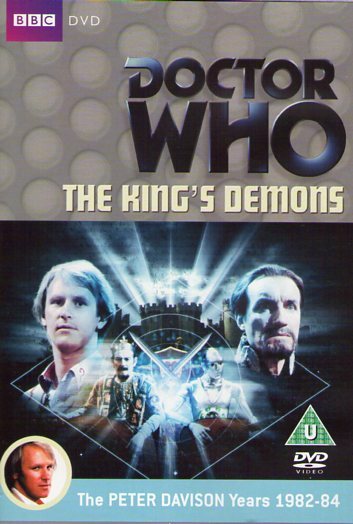 A feature made as a DVD extra for The King's Demons, part of the Kamelion Tales DVD box-set. Originally posted: 5 November 2010. 7 January 2013: Updated information regarding the neo-medievalism chapter; minor typographical changes. 5 October 2013: Added reference to ‘The Infidel’ and the two images accompanying it.